Jeff Horak is a co-founder and agency owner of JHTB Texas Family Traditions, LLC, DBA Goosehead Insurance with offices in Bryan/College Station and Belton. 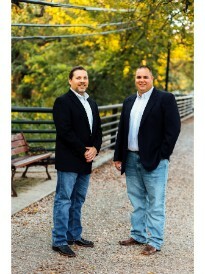 He and his business partner, Toby Brooks, along with their family of agents, focus on providing our Texas clients with the most comprehensive coverage available with the best rates in the state. To achieve this, our family compares rates of several A-rated companies to ensure your needs and budget are met. Our commitment to you is to earn your business through superior customer service. As our name implies, our family is committed to providing a tradition of complete insurance coverage for your home, auto, umbrella, life, farm-ranch and commercial needs.